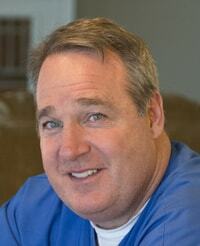 Christopher Brown is a concerned and caring dentist serving the community of Knoxville, TN. Dr. Brown attended the University of Louisville, where he received his dental degree. Dr. Brown is a part of Knoxville Mt Grove practice. Dr. Brown is devoted to ensuring the longevity of his patients’ health and developing long-lasting relationships with them. He takes his time to understand symptoms and give correct diagnoses to ensure the continued health of all his patients.